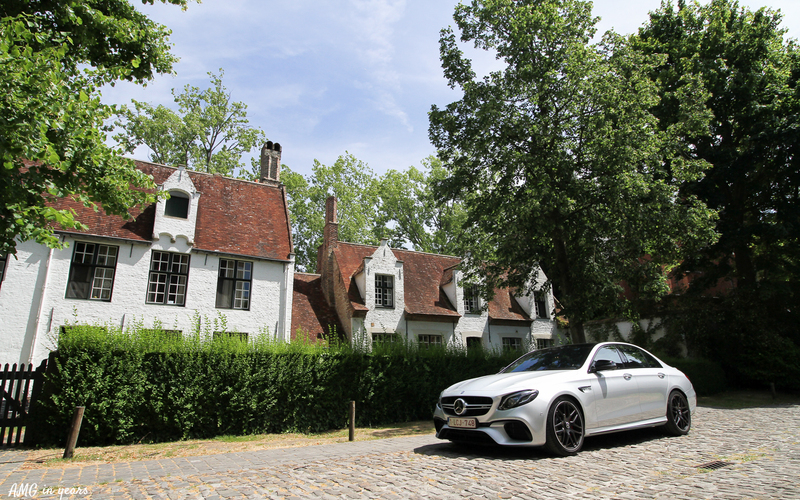 Half a year ago AMG In Years had the opportunity to test drive the convertibel version of the C 43 AMG in temperatures close to the freezing point. 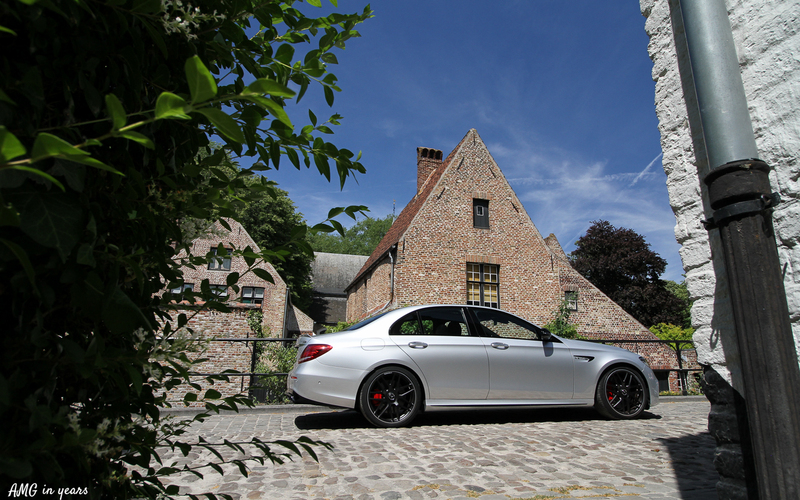 Other conditions for our most recent test drive of the E 63 S AMG as summer arrived in Belgium. 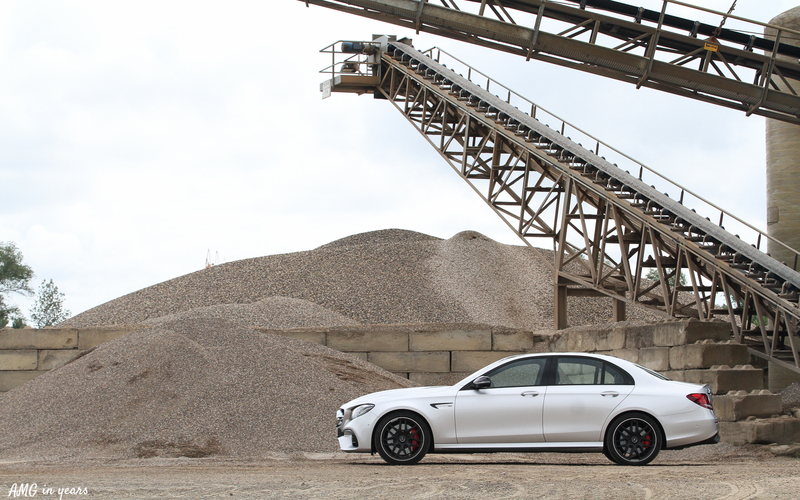 Well read, we had the chance to drive one of the most powerful sedans currently in production. It’s Hammer time! 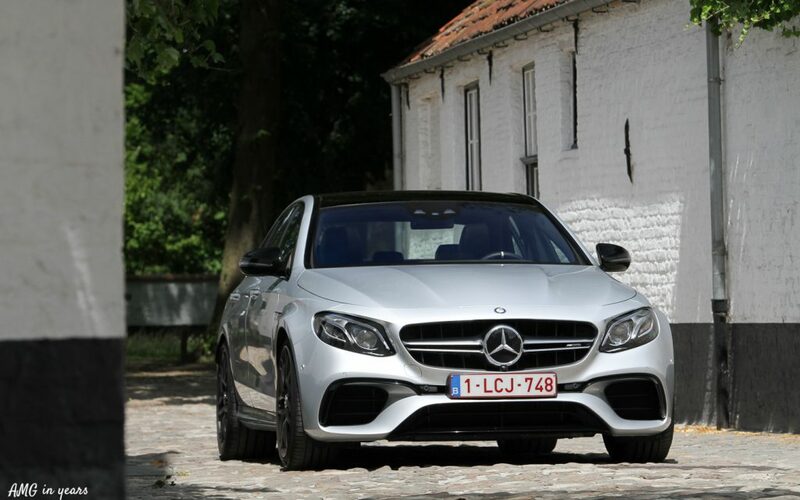 The front bumper is just massive and is the easiest way to recognize the AMG version of the Mercedes E-Class. 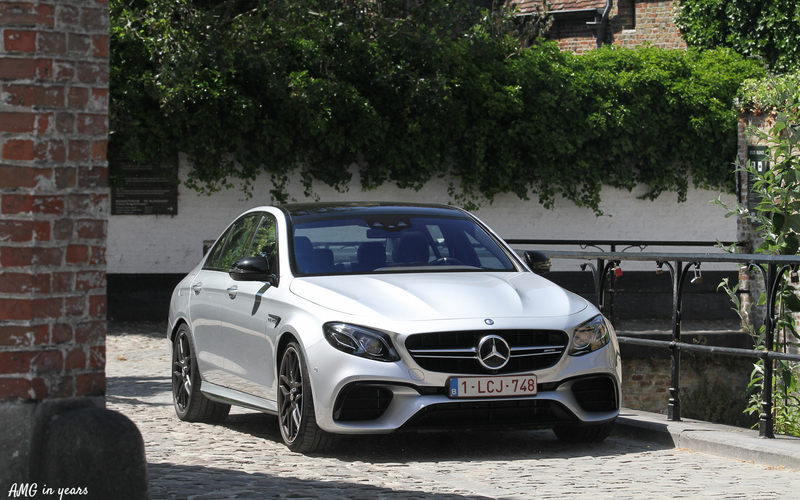 Put the E AMG next to a normal E-Class and the differences are easy to spot. 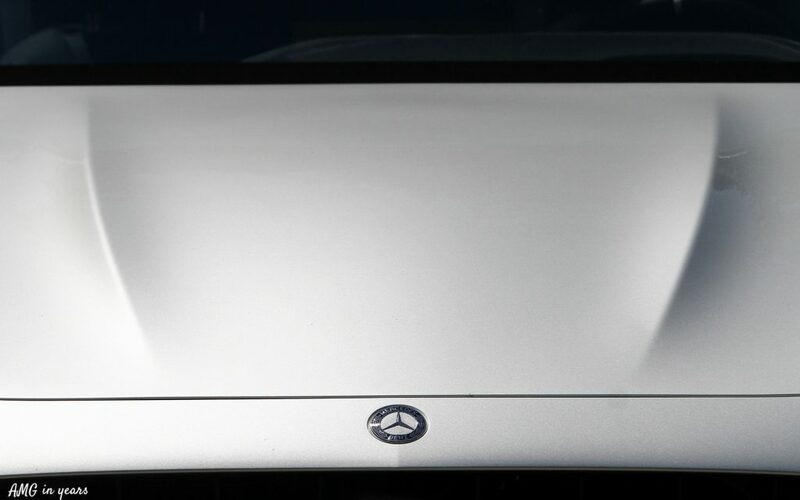 Two power domes on the bonnet, wider front wheel arches, a boot spoiler and black side aprons are other eye-catching adjustments. 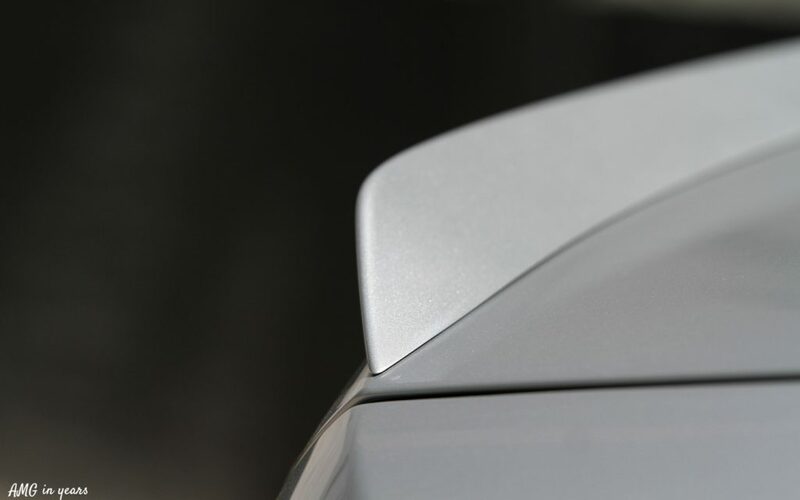 The iridium silver paint of our test model seems to overshadow a bit the other visual differences. 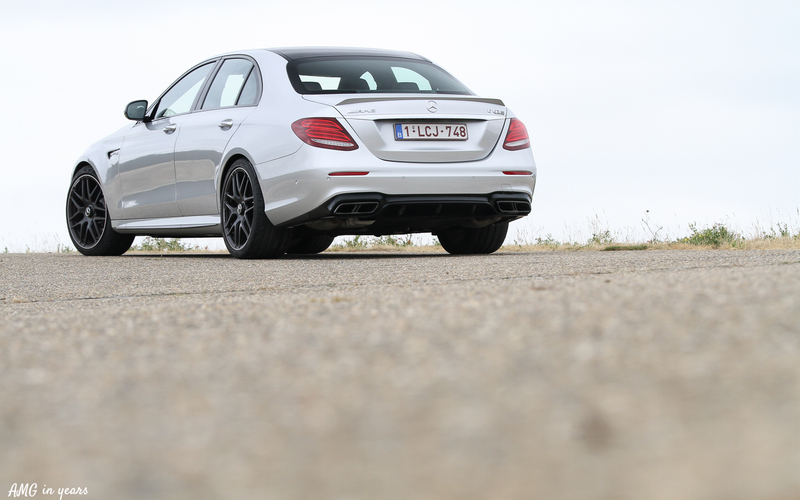 Furthermore, the black painted AMG performance exhausts were a bit camouflaged by the black rear diffuser. Specific for this exhaust are the fused double pipes compared to the standard four pipes. 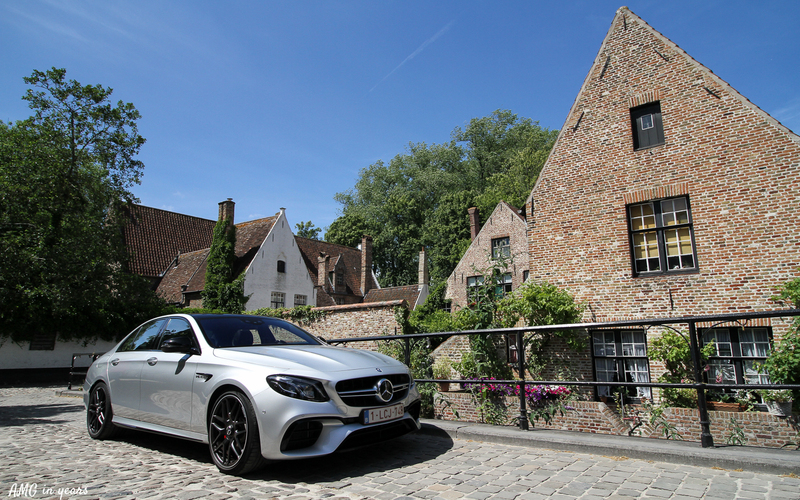 Surprisingly there was no waterfall of turning heads unless the throttle was touched … If you compare the design to some previous AMG versions of the E (W211 and W212), the modifications are drastic, but they seem to be still difficult to spot by the man in the street. 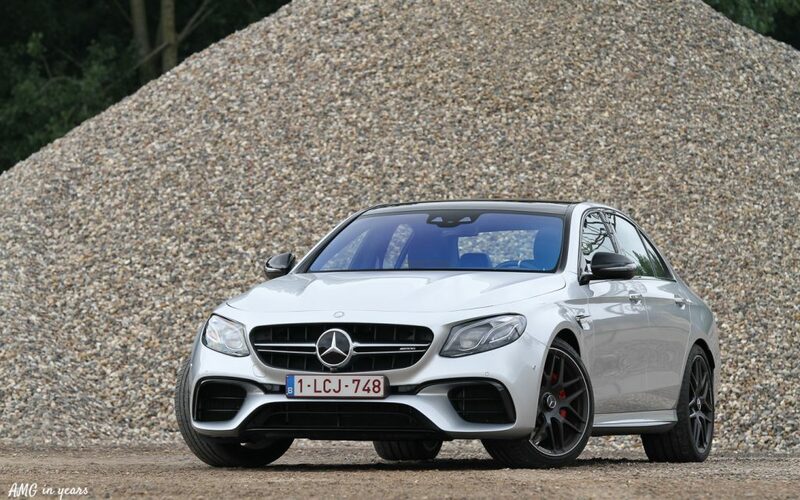 Personally, I’m seeing the subtleness as an advantage and all in all the appearance of the E 63 S is just spot on. 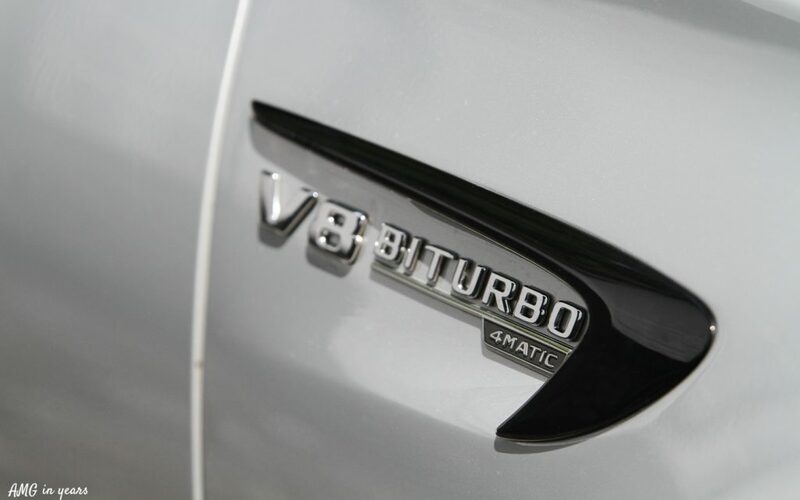 The M177 4 liter V8 with the twin-scroll turbo’s positioned between the cylinders delivers 612 hp and 850 Nm between 2.500 and 4.500 rpm. 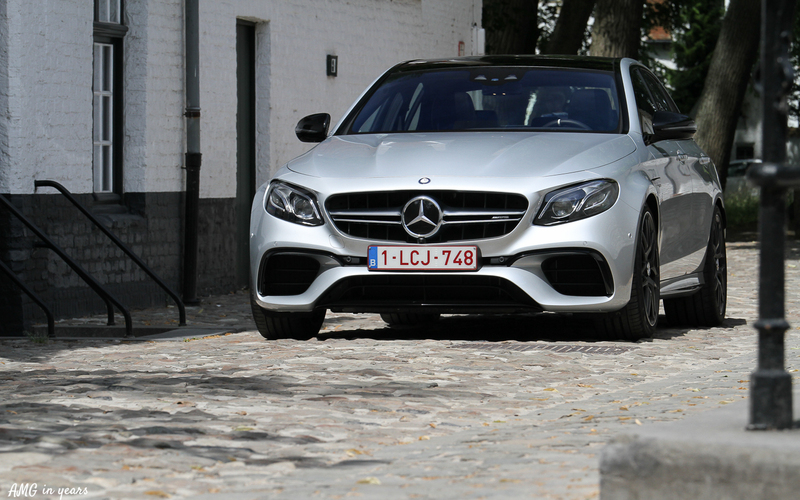 The engine is an evolution of the M177 in the C-Class where it delivers maximum 510 hp. 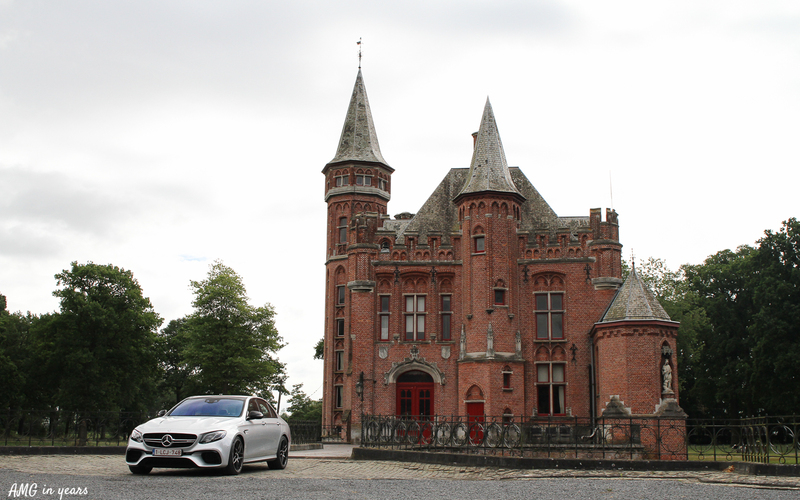 It shares even the same engine block as the M178 in the AMG GT versions. If less power is required (e.g. 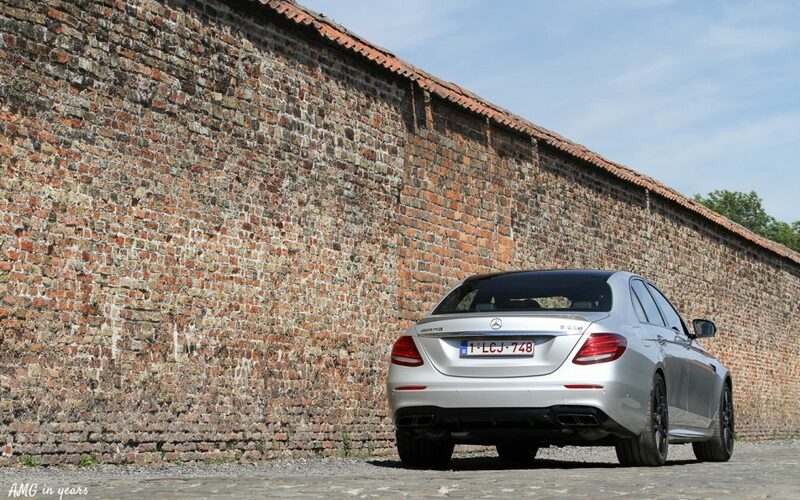 on highways or on flat roads) four cylinders are not activated: cylinders 2, 3, 5 and 8. The engine output is literally explosive, although still controllable. The performance is mindblowing and your brain needs some time to understand the acceleration times. 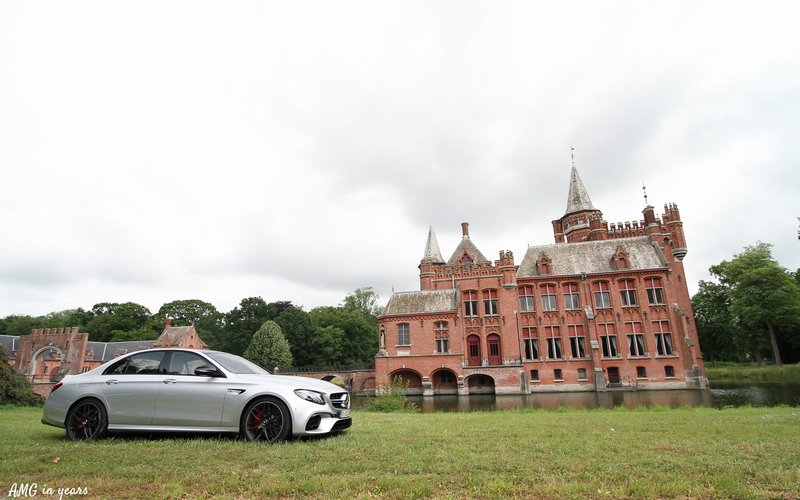 With a 0 to 100 km/h in just 3,4 seconds the E 63 S leaves behind the AMG GT R … Mainly thanks to its 9-speed sport AMG Speedshift transmission and four wheel drive 4MATIC+ which made its debut in the E AMG. The multi clutch transmission allows race starts and ultra short shifting times. 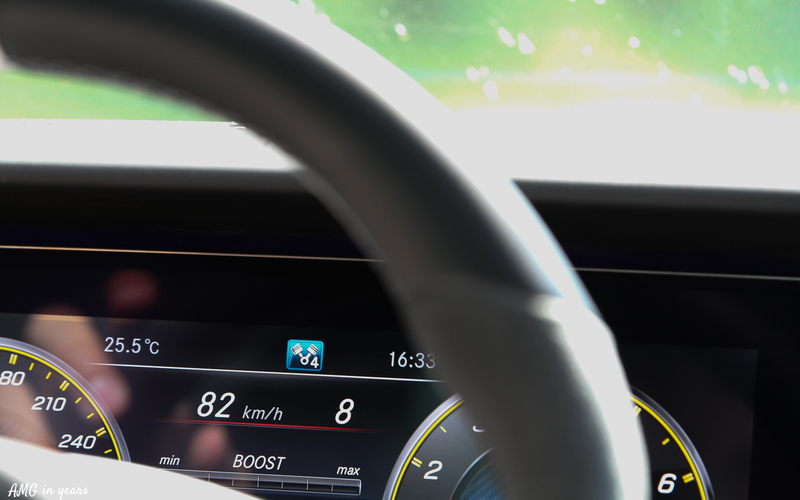 It also reacts immediately on the driver’s shift commands from the paddles behind the steering wheel. Via these paddles the driver can even kickdown three gears immediately. 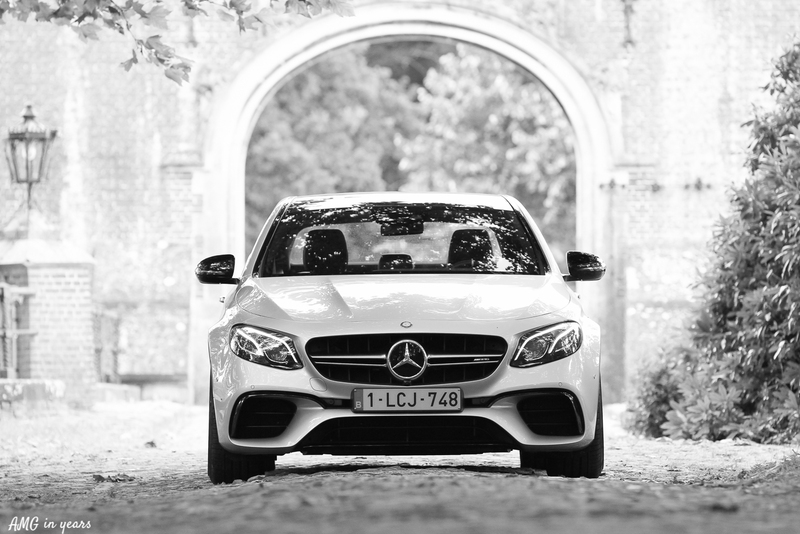 The 4MATIC+ powertrain allows fully variable torque distribution over the four wheels. The ideal torque distribution is calculated continuously based on the driving conditions. An electronic operated clutch provides the connection between the permanently driven rear axle and the front axle. 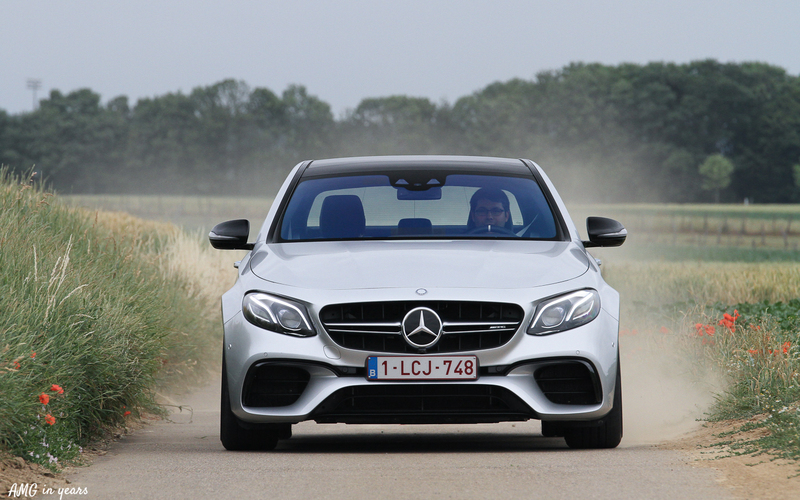 A drift-mode can be activated in “Race” driving program (specific for the E 63 S) and if transmission is in manual mode and ESP is turned off. At start full power is sent to the rear axle, but once speed increases some power is also sent to the front axle in order to increase driving stability. 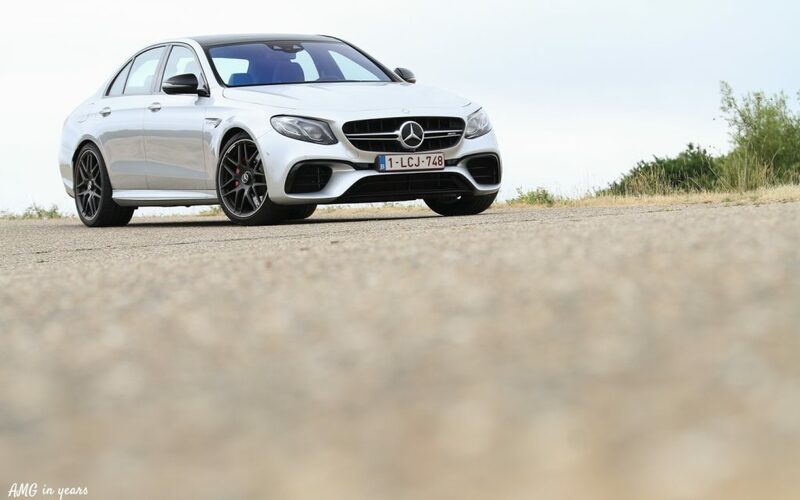 An AMG electronic rear-axle differential with limited slip comes as standard and should improve traction in every driving condition. 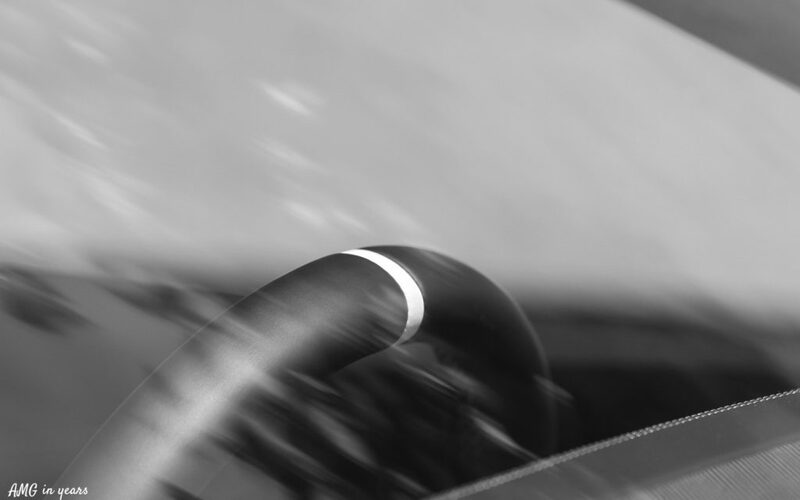 The goal of the differential is to limit slip of the inside driven wheel during cornering or when changing lane. The multi disc differential is adjusted by an electric motor and should be more precise than a conventional mechanical differential. Despite the technological excellence the tyre footprint cannot be underestimated as under full throttle, you feel that tyres slip through a bit. 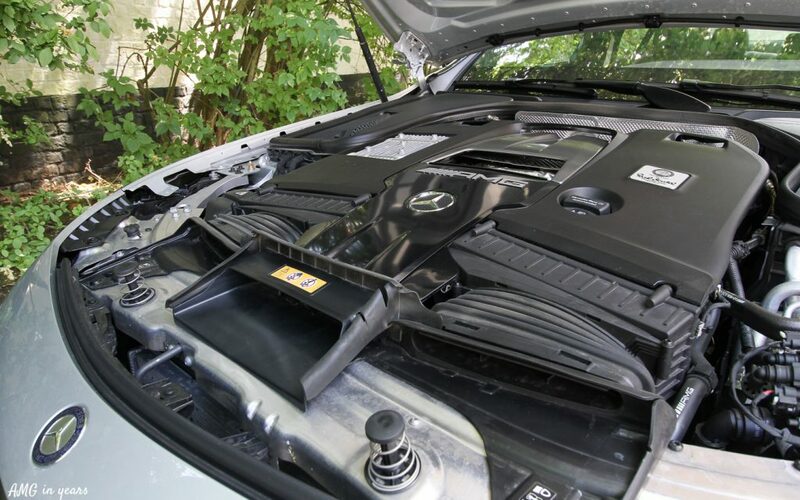 Worth mentioning are the engine mountings who keep the engine in place. 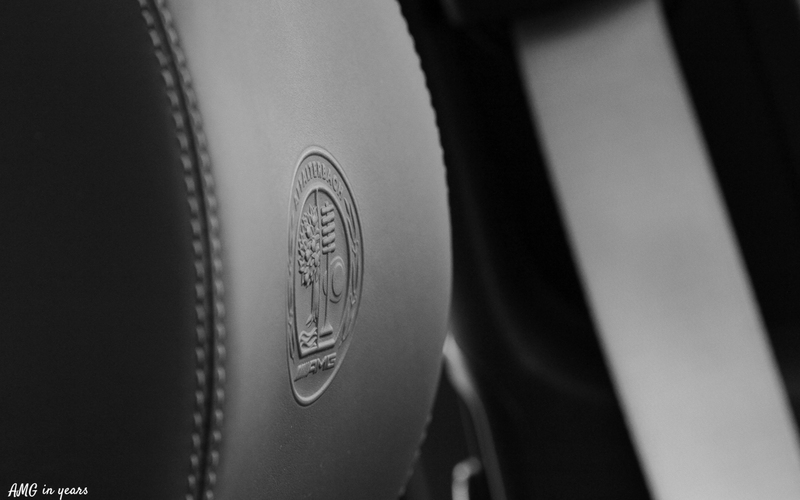 Depending on the driving situation the stiffness of the mountings can be adjusted to focus or on comfort, or on driving experience. 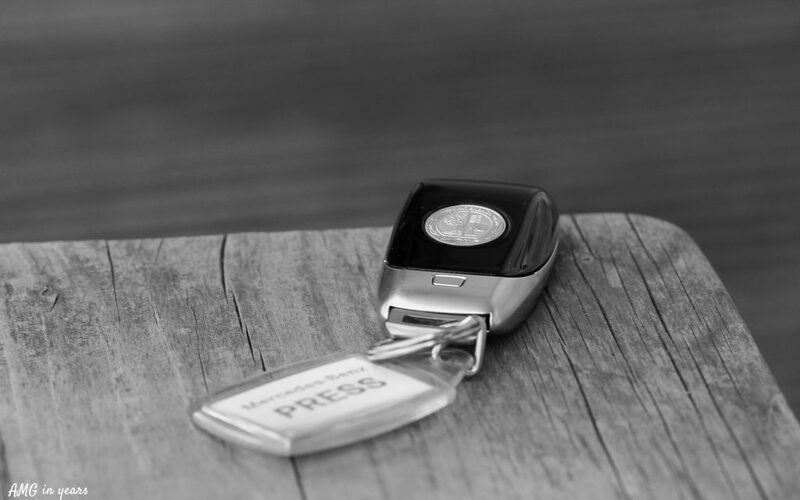 However, the assessment can be overruled by the driver based on the selected transmission mode. 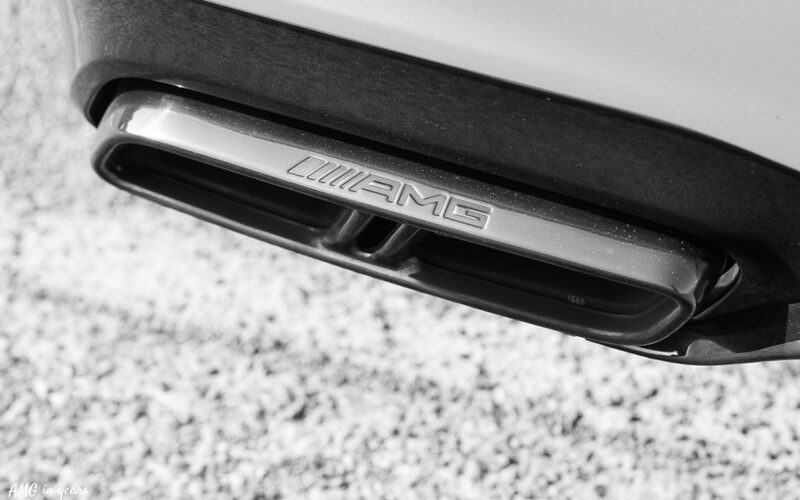 The AMG sports suspension is based on air body control and helps to reduce rolling movements. It is quite impressive how the car remains flat when cornering with high speed. 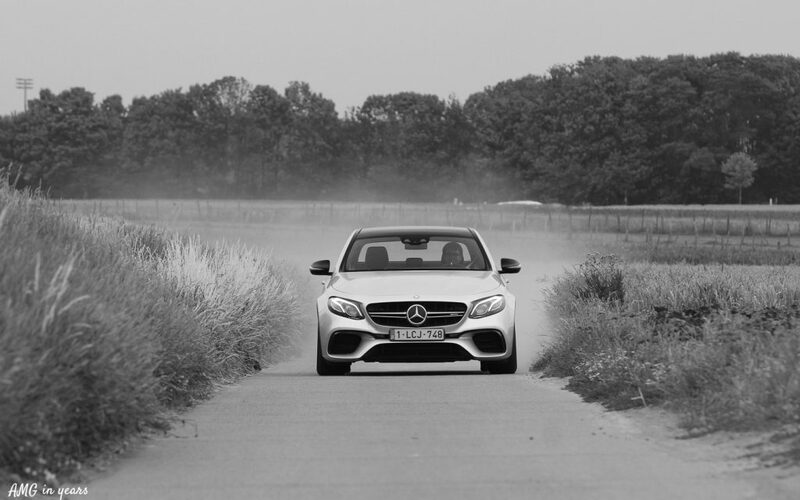 The damping at each wheel is therefore steered based on the road conditions. Furthermore, independent from the load of the car, the E 63 AMG retains its driving height. At higher speed the car is brought closer to the ground in order to reduce drag. 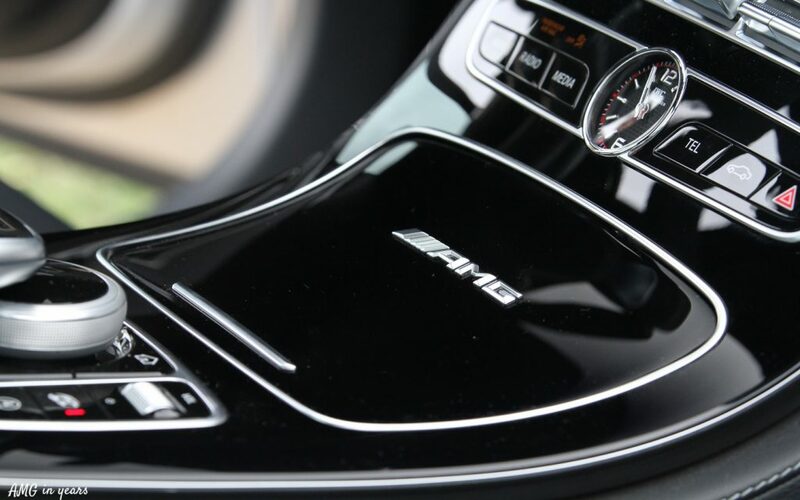 Other available driving programs (grouped as AMG Dynamic Select) are Comfort, Sport, Sport+, Race and Individual. 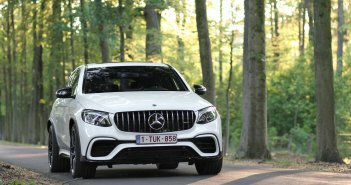 There is no Eco driving program, but in Comfort the engine can shut down four cylinders and start-stop is also reducing fuel consumption. 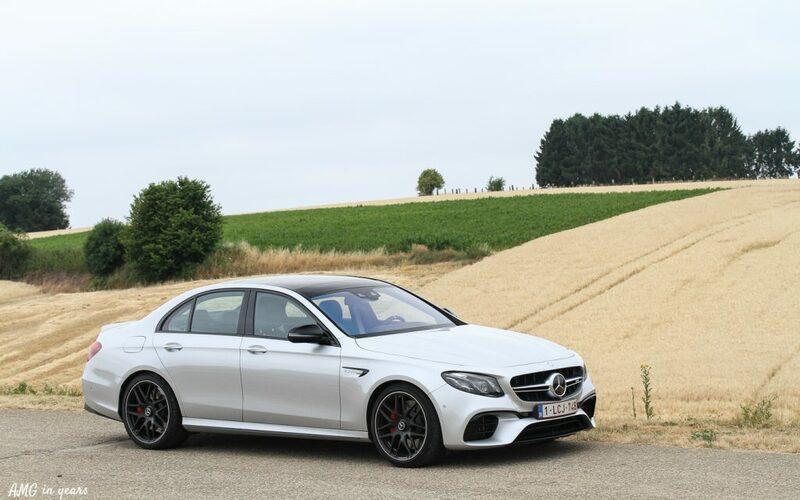 Based on the selection mode of Dynamic Select, parameters such as the agility of the accelerator pedal, the power steering, shifting times and active downshifting are adjusted. The latest selected driving mode remains active four hours after switching off the engine before going back to Comfort mode. We keep the best for last. 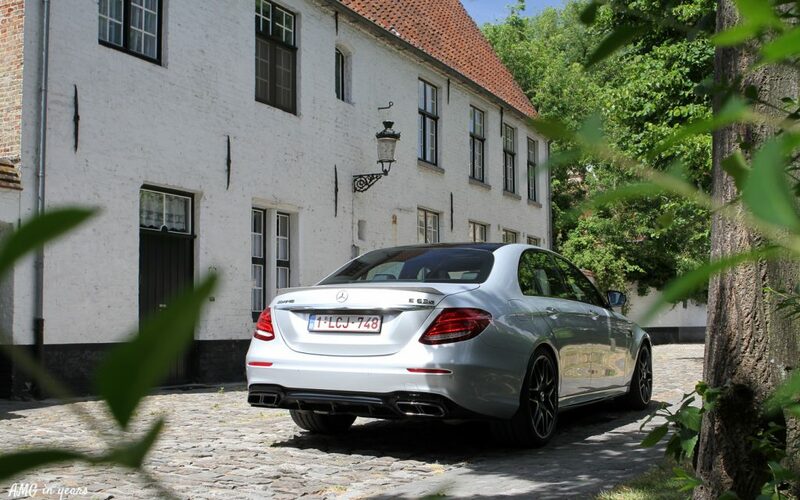 The sound of the exhausts literally speaks volumes. Also the engine sound itself enters your ears massively. 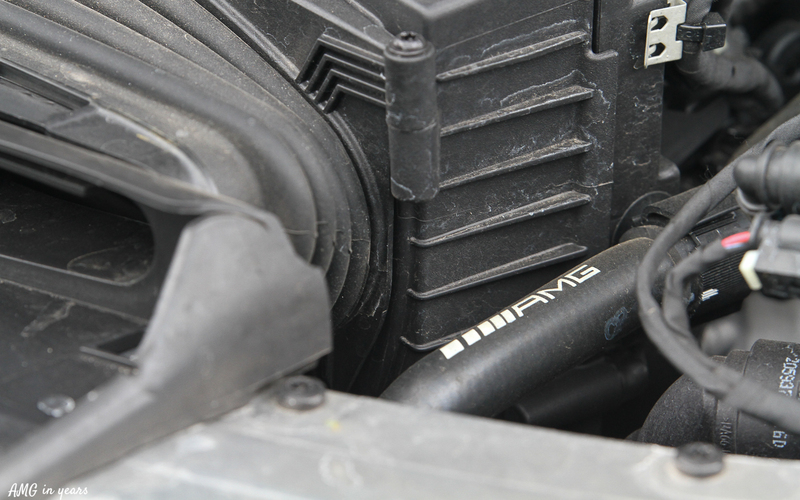 There is no need for AMG to trademark its sound as there is no other brand who is able to reproduce the typical AMG sound. 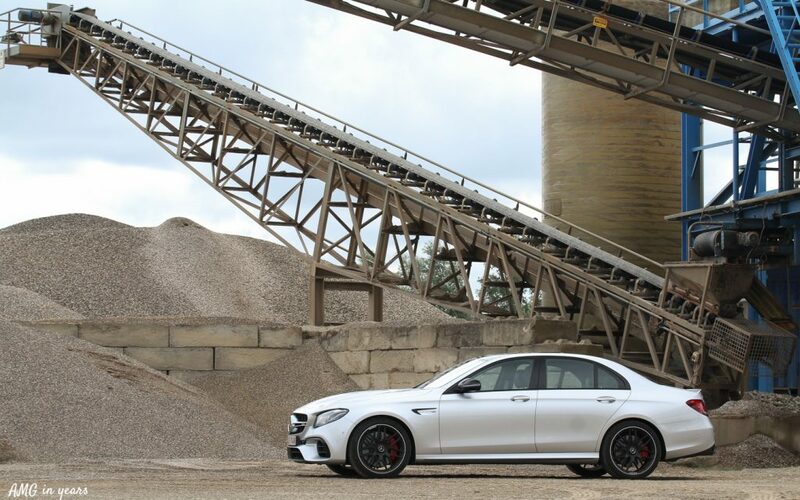 The sound artists at AMG must have a well kept secret. 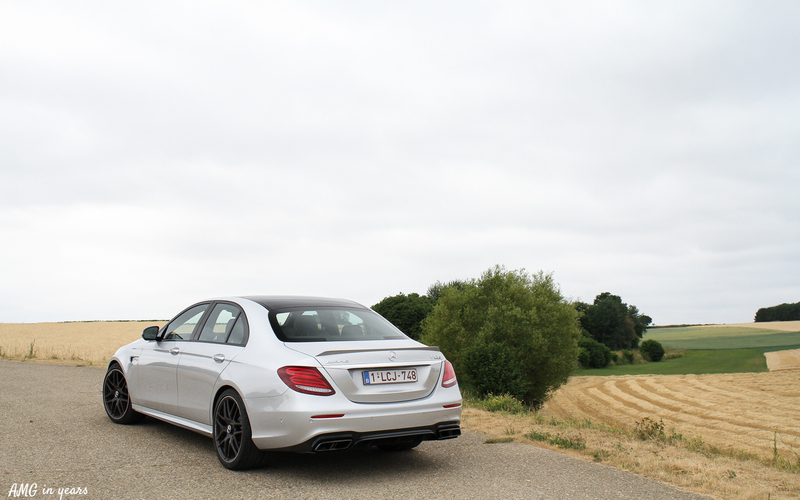 The sound which is produced by the exhausts when shifting down in Sport+ or Race mode is just incredible. We feel sorry for all people we chocked with it. The acceleration power is from such a level that from the moment of releasing the throttle, you have a slight whiplash as you hit the wall of air resistance. Certainly for passengers this is a bit annoying as it’s difficult for them to predict the foot movements of the driver, resulting in some neck pain due to heavy acceleration or deceleration. For those who need even more braking power there are ceramic brakes available for a price tag of more than € 8.000. 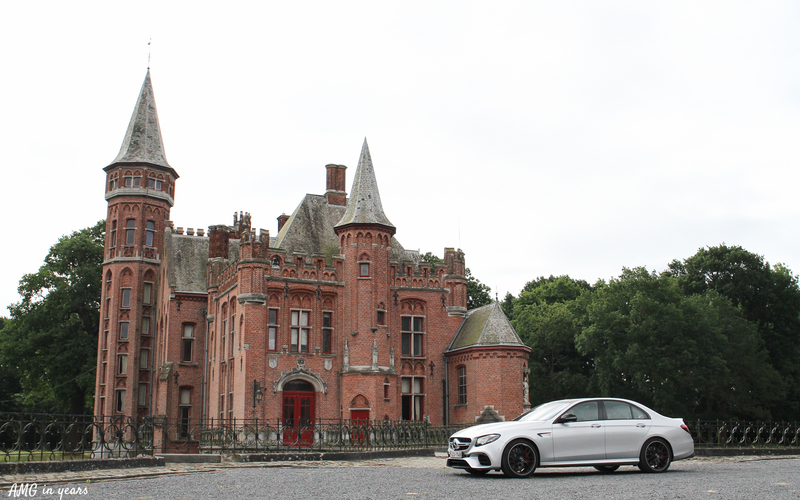 The biggest advantage of the E 63 S AMG is that you can drive the car normal. You just need a very light foot. With the right driving conditions it is possible to fall below the ‘magic’ border of 10 liter fuel consumption per 100 km: few traffic, no headwind and no stubburn left riders. 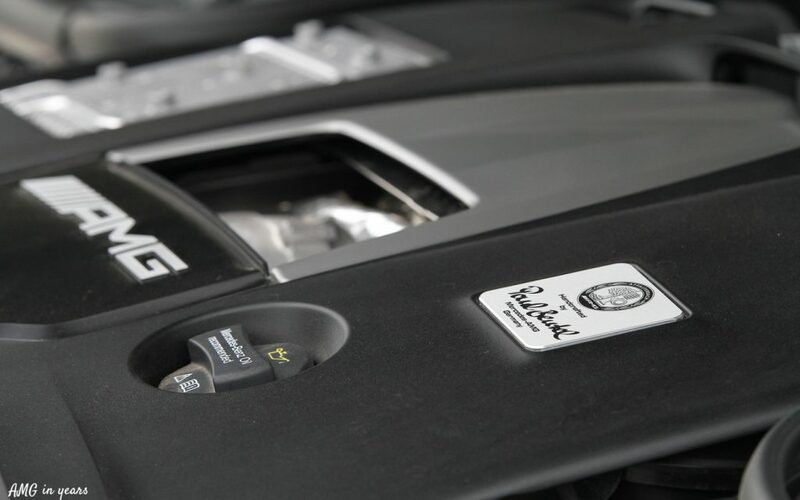 When driving in Sport + mode, the average consumption easily goes up to 20 litre per 100 km … The fuel tank of 80 litre is therefore very welcome. In line with its less powerful brothers the E 63 AMG comes with many driving assistance tools. 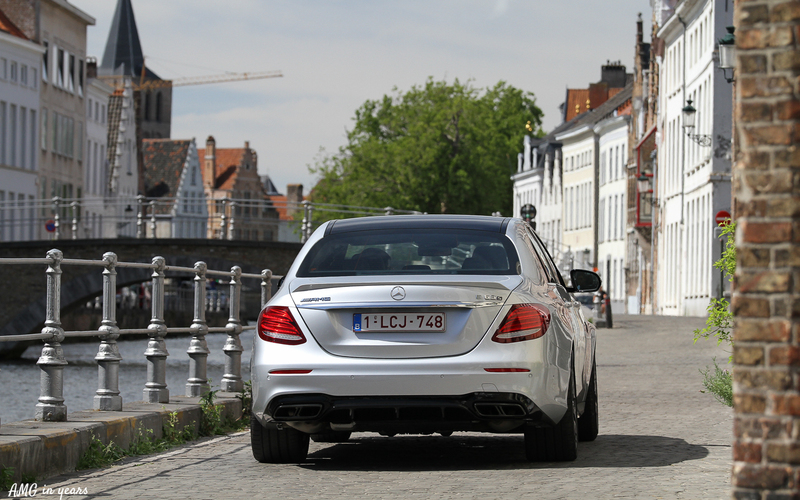 Drive Pilot makes autonomous driving possible to a certain level. 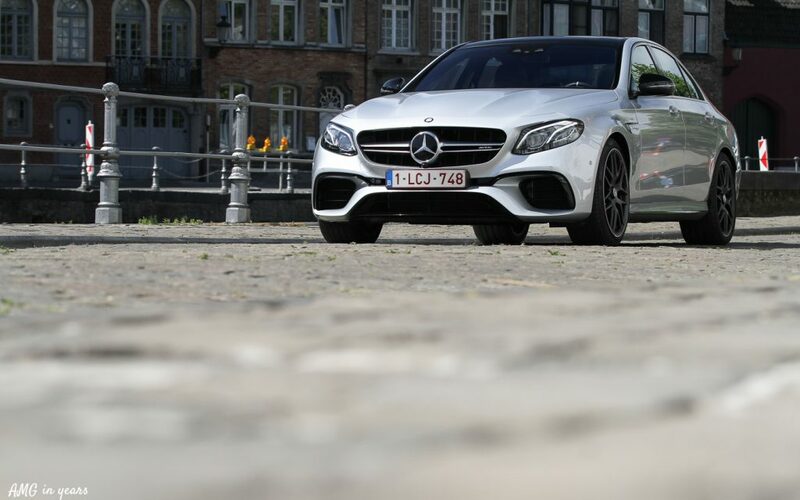 Thanks to steering pilot, active lane keeping assist, adaptive cruise control, traffic jam assist and road sign recognition it is only required to put your hands on the wheels from time to time. Changing lanes on highway automatically is also possible by activating the indicator. 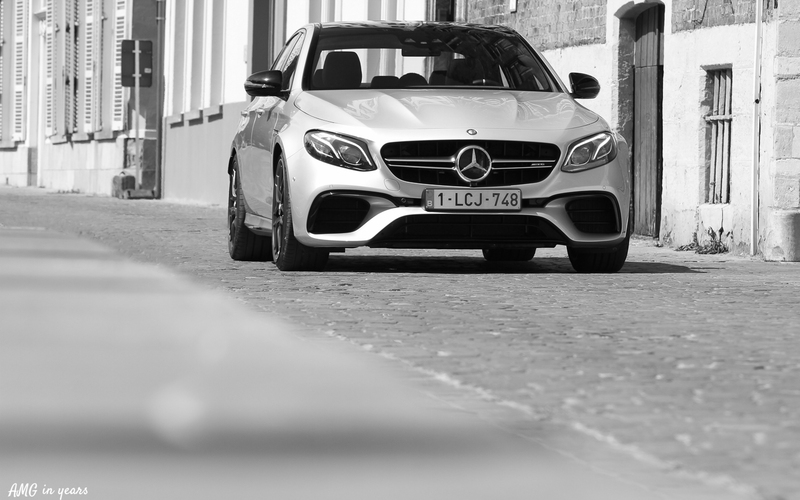 Many other systems bring safety to an even higher level: automatic braking, blind spot detection, latest generation PRE-Safe, belt bags for the rear passengers, recognition of pedestrians ect. 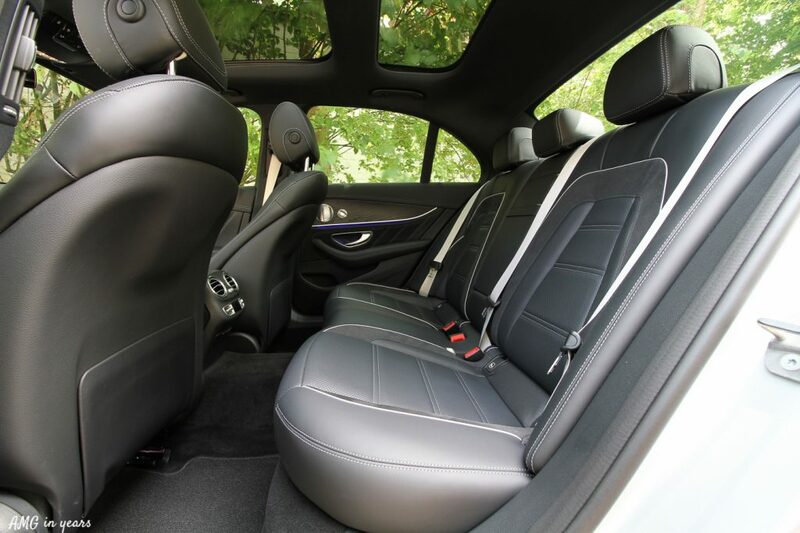 Except the AMG steering wheel (partly in microfiber), the crystal grey seat belts and the AMG seats with a white line, there are no signs that you are seated in the most expensive E-Class ever. 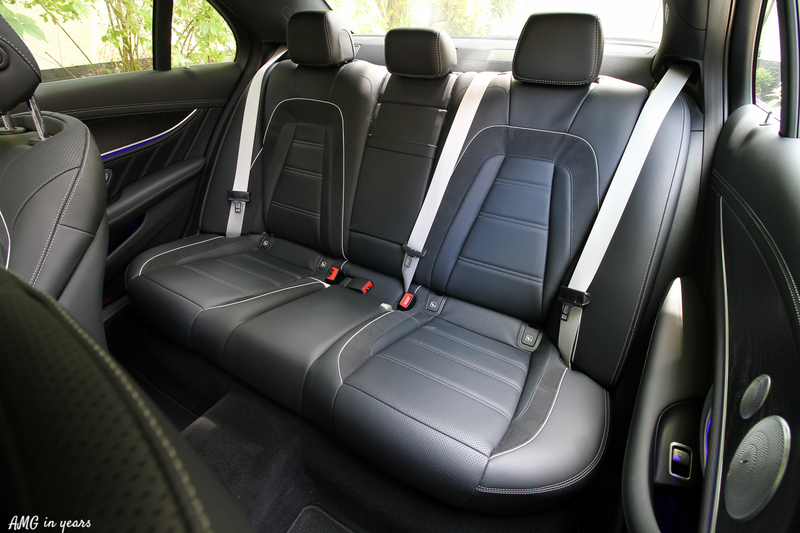 Therefore we would recommend (if money is no issue) the interior carbon pack (€ 3.570) as it makes the feeling a bit more exclusive. 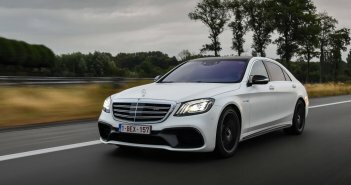 Don’t get us wrong, the dashboard of the E-Class is probably one of the best that can be bought with ‘reasonable’ money today. Taking into account the grip levels, the standard seats lack a bit of lateral support. 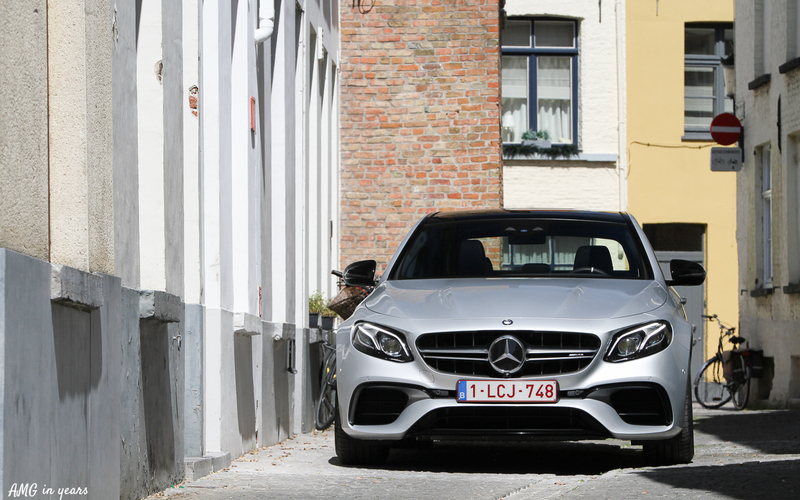 There is an expensive solution for that: the AMG Performance (front) seats (€ 2.360). 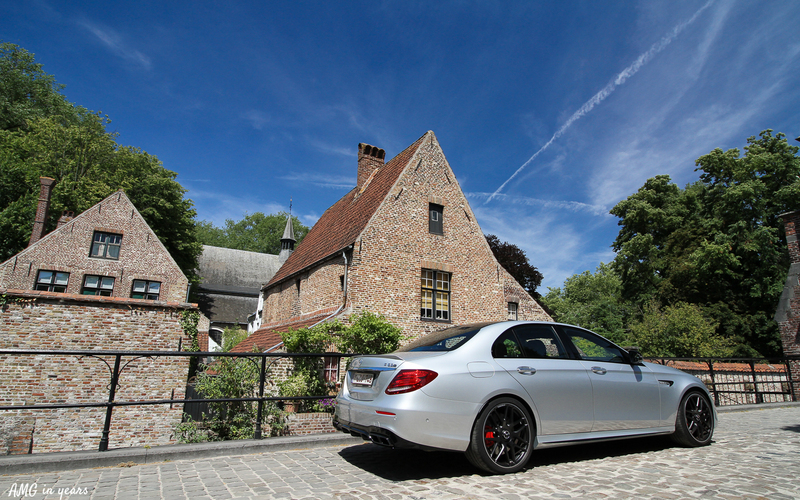 The E 63 AMG comes standard with AMG Nappa leather and the Command Online navigation. 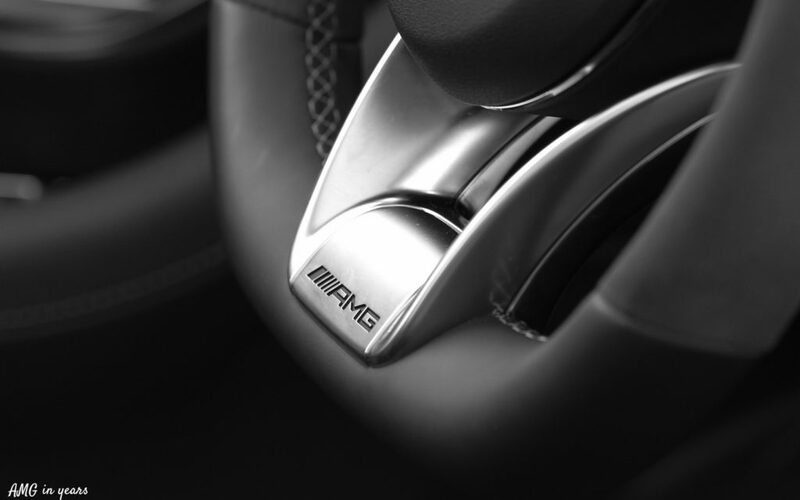 The wonderful thing about AMG is that it’s an AMG … It menas you can amuse yourself on your own way with this piece of art: quit or very very loud. It is a bit stupid to say that you can’t use all of the power because of the current speed limits. Acceleration from the end of a traffic jam, at a traffic light, or searching limits in corners brings more joy than speeding at 250 km/h at the highway. 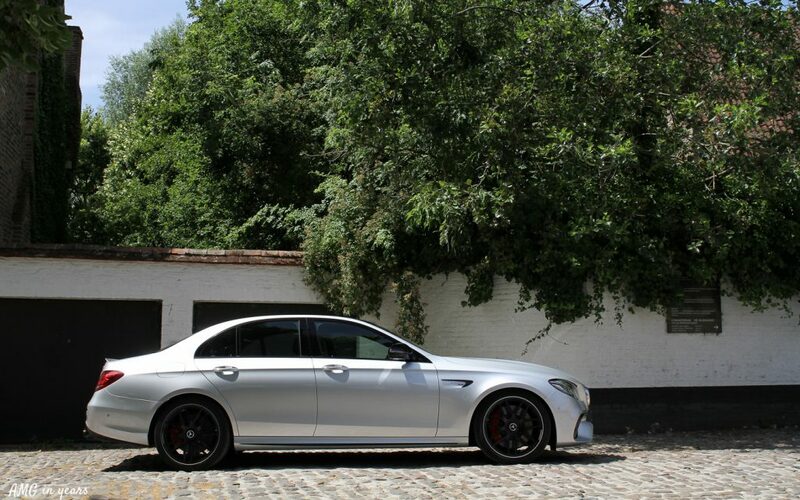 Furthermore it is not only the power that makes this E 63 AMG so desirable. 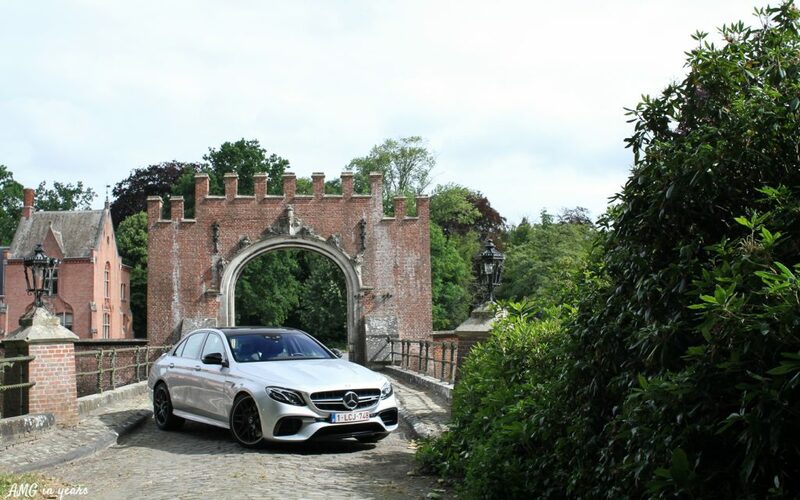 The appearance, the interior atmosphere, the practical side (5 seats and large boot), the general feel of quality and the safety systems all take part of the E 63 AMG’s greatness. 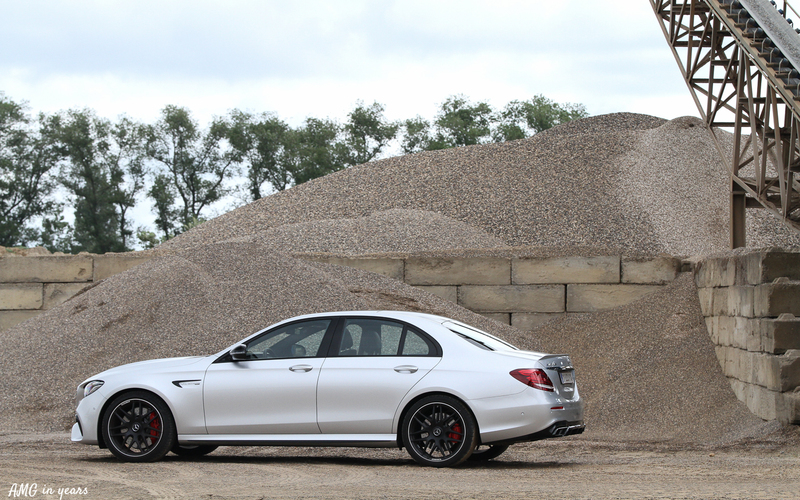 And off course there’s the sound … This E 63 AMG is so complete that AMG must take care it remembers how to reproduce it for future models. 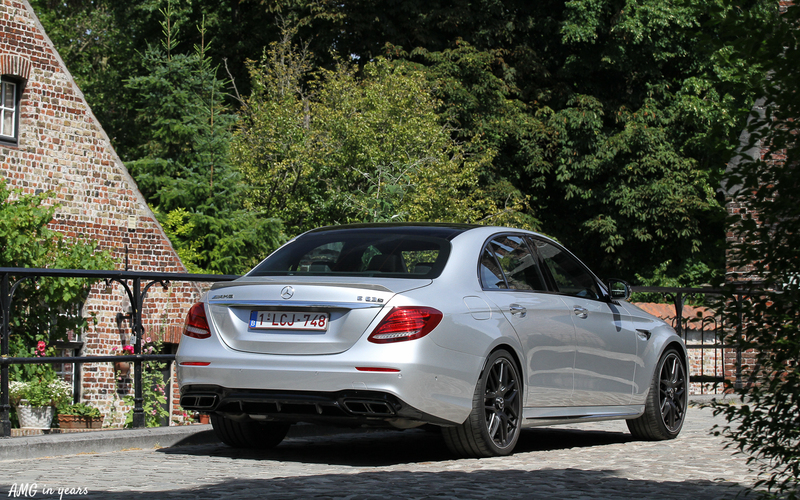 In the end there are little rational arguments to buy this E 63 S AMG. It has too many horsepower, fuel and tyre consumption is too high, you are often shouted as a maniac due to the noise and air pollution, not comfortable enough and it is very expensive. However, in the end it has little to do with rational arguments. See it as love, there is no link with rational arguments, by hearsay off course. 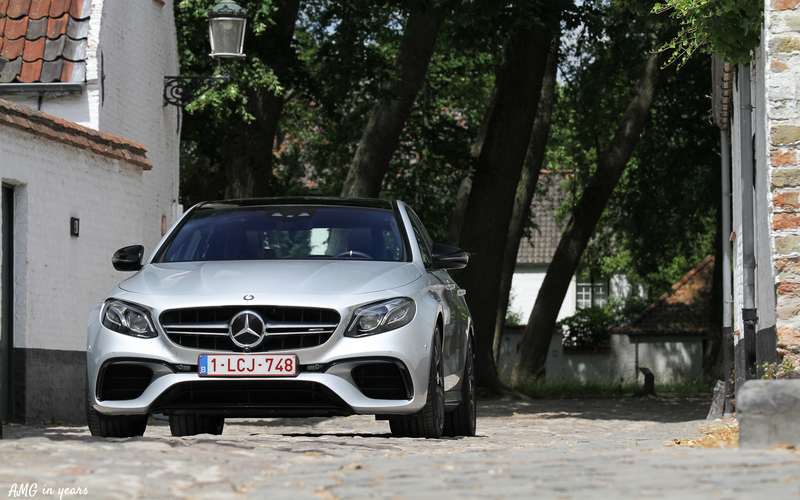 The minimum price tag for the S-version is close to € 130.000 which is sportscar money. 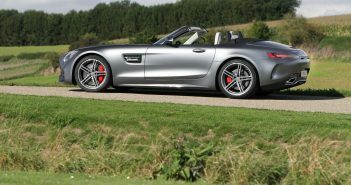 You can save 10k by choosing the 571 hp version and we can’t image that you will miss some horsepower as 612 hp is just too much. 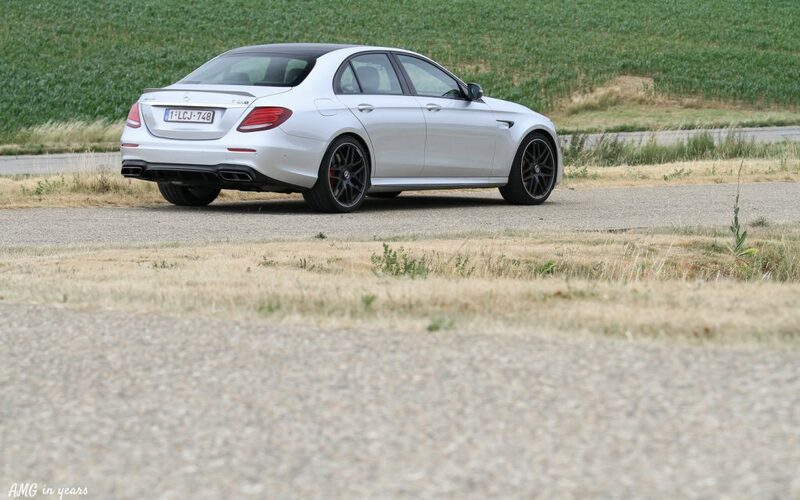 Remarkably the new E 63 AMG is not more expensive than its predecessor. 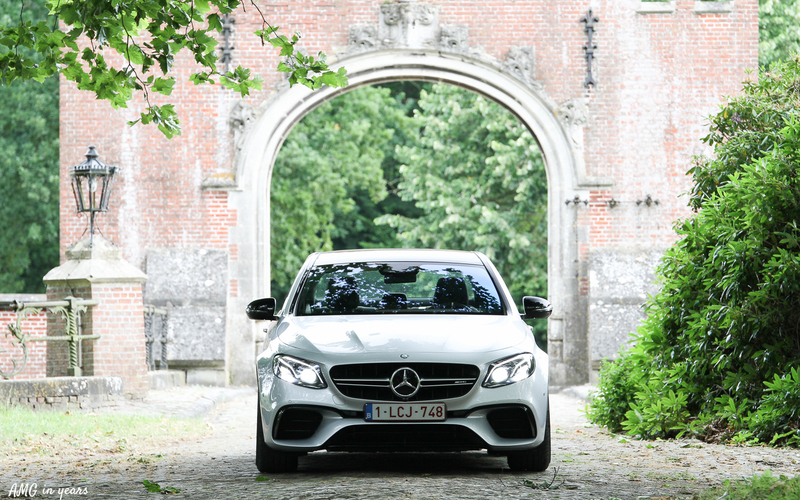 Special thanks to Mercedes-Benz Belgium for this great opportunity. 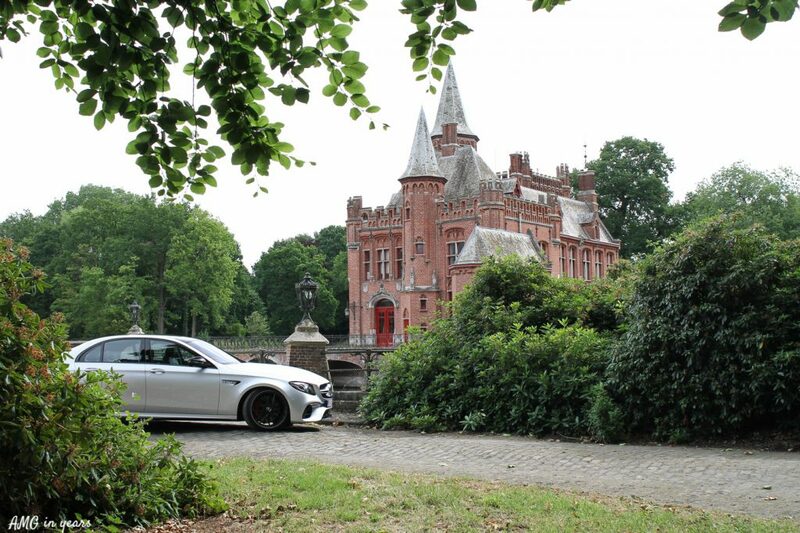 Some pictures have been taken at Castle ten Berghe in Bruges. Interested in organizing an event there? More info here.